The Museum gegenstandsfreier Kunst in Otterndorf, Germany presents 'Traction', a significant exhibition of early and recent work by Jason Martin. Featuring fourteen paintings made between 1995 and 2016, the exhibition illustrates Martin's unique sculptural approach to 2D surfaces, where the canvas becomes an arena for performance. Created on a variety of surfaces, from aluminium and bronze to composite, linen and fibreglass, Martin's work oscillates between painting and sculpture. Trained as a painter in oil and acrylic, Martin began manipulating his chosen material in the early 1990s, scraping, combing, raking and squeegeeing paint across the surfaces of his canvases and aluminium panels until their edges bled colour and the surfaces picked up textures, gestures and happenstance along the way. On show at Museum gegenstandsfreier Kunst are a number of the artist's early monochromatic paintings, including Golden	Oldie (1995), where layers of oil have been dragged across the canvas with a fine, comb-like piece of metal or board in one movement, repeated many times. Striations in these works catch the light, their rhythmic textures suggestive of the ridges in a vinyl record, strands of wet hair or the grain of a feather. Martin does away with paint altogether in his wall-mounted casts of bronze and nickel, two of which are on display in the exhibition. Several of the artist's pure pigment works, where vivid colour is applied to moulded panels, their baroque contortions appearing like an extreme close-up of a painter's palette, are also on view. 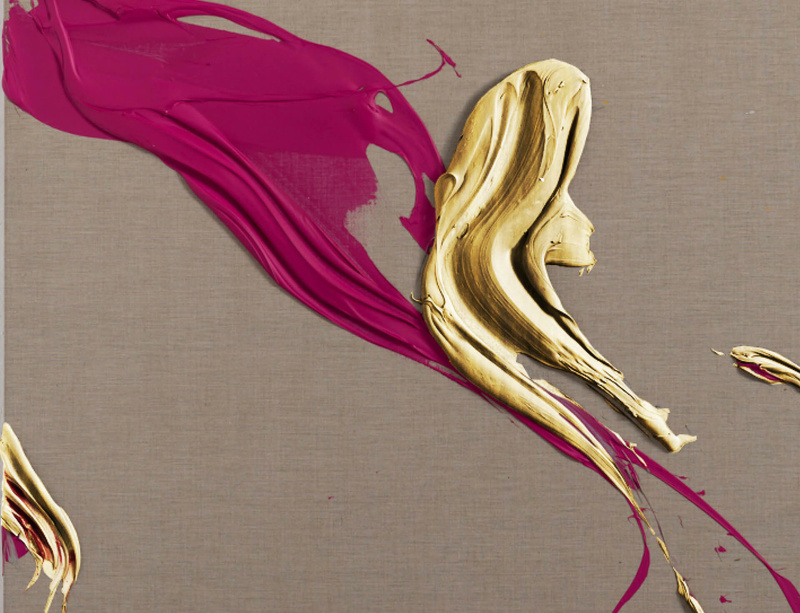 Image: Jason Martin, Aycée, 2014 (detail). Mixed	media	on	linen. 184	x	154 cm © Jason Martin; Courtesy of Lisson Gallery.